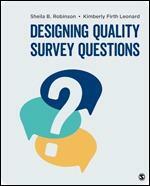 Email Questionnaires are surveys or questionnaires that are distributed online via email. Being relatively labor intensive, it is an option that is used less and less on account of the increasing number of online survey tools, such as polldaddy and surveymonkey, that facilitate the formatting, distribution, collection and analysis of data from questionnaires sent via email. It is harder to ensure anonymity than it is with a web-based questionnaire, although this can be improved by having separate people collating and analysing the data. Limit the number of questions so as to improve response rate. Only include key questions. Email Questionnaire: This document is an example of an email questionnaire produced at the University of Wisconsin Extension that was designed for evaluation purposes. Taylor-Powell E. (2002) Program Planning Evaluation: EMAIL QUESTIONNAIRE, University of Wisconsin Extension, Wisconsin.